Little Chef Owen and family have had quite a year since last year’s Little Chef Competition with the Little Potato Company and The Marilyn Denis Show. As part of his 2016 prize, Chef Owen chose to use his prize money to go on a trip with his family to Montreal, QC. Why Montreal you may ask? Montreal is home one of Chef Chuck Hughes’ restaurants who happens to be one of Owen’s biggest chef-idols. The Little Potato Company was able to help make this culinary dream come true, as part of our Little Chef Program. After the trip, we met up with Owen and his Mom, J.J. to learn more about their experience since the Little Chef competition last year. This blog series on Cooking Together, starts with Little Chef Owen’s family meeting with Chef Chuck Hughes and their shared love of our favourite Creamer potatoes! 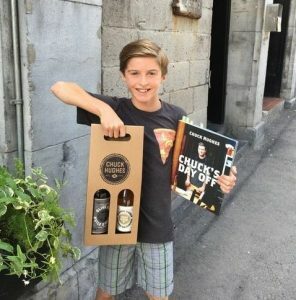 What did you think when you first learned that you were going to meet Chef Chuck Hughes, and tour his restaurant? 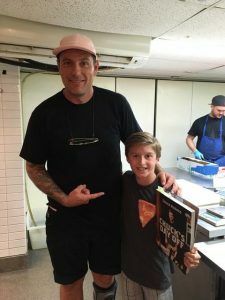 Owen – I was filled with excitement and it seemed unbelievable to me that I was going to get the chance to meet one of my cooking idols, Chuck Hughes. I was also so thankful to the Little Potato Company set this up for me. I felt so lucky! Why did you want to meet Chef Chuck Hughes, what do you like about his cooking? 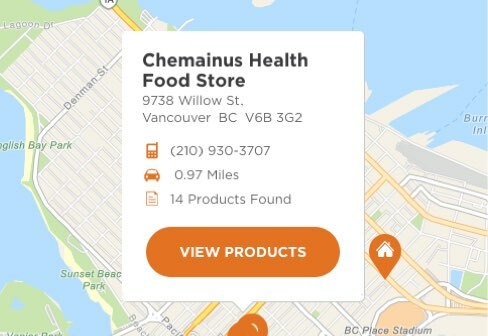 Owen – I have been watching Chuck Hughes on TV since I was little. I really like his style of cooking – it is simple but yet elegant. I love how passionate he is about cooking. He inspires me to cook every day. What did you talk about with Chef Chuck Hughes? 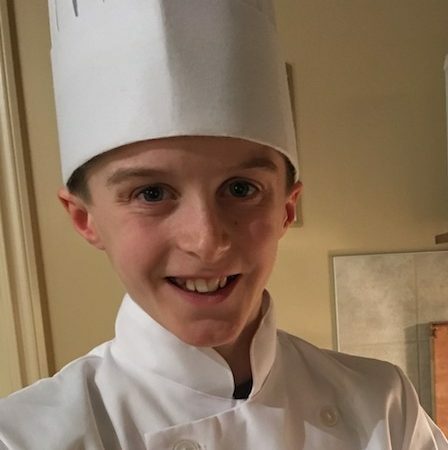 Owen – We talked about his start in becoming a chef, his restaurants, his family and then also my dream of going on Chopped Canada Jr. He taught me to keep my passion alive and to keep my recipes simple. I also found out, just like me, he is loves skateboarding. 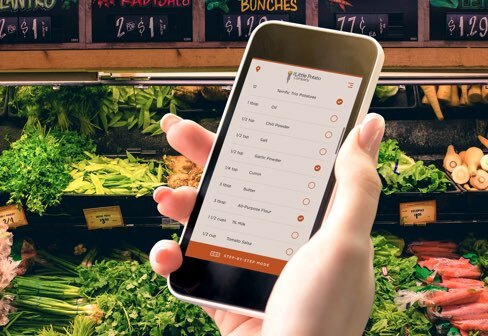 Did you talk about cooking with your family? Owen – Yes, we talked about cooking with our family and how I love to use my pasta roller. He talked about how he loved to cook with his mom. This reminded me of how I love cooking for my family and with my parents. Little Chef Owen’s Mom, J.J., Joined the Fun, Too. 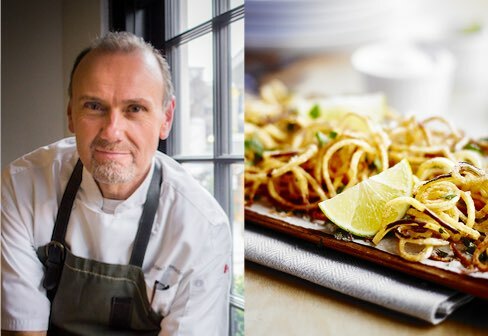 What was it like to see Owen with his culinary idol? 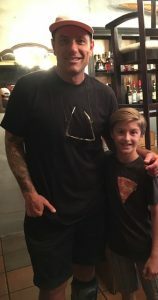 J.J. – For a mom – to see Owen with Chef Chuck Hughes was amazing. To see one of your child’s dreams come true is unbelievable. Not many people get the chance to meet their idols and the fact that the Little Potato Company went to all the trouble to make it happen warmed my heart. The goodness of the people at the Little Potato Company has been overwhelming. They have truly taken a little boy who loves cooking and really encouraged, supported and inspired him in every way possible. I could not ask for a better experience! At the Little Potato Company we love to inspire kids and families to cook together as part of our Little Chef program. We have enjoyed getting to know Little Chef Owen and his family, and we are excited for this year’s competition and meet more families cooking together. You can be a part of cooking together too in our Little Chef Program, and right now our Little Chef: Family Edition competition is open for entries until October 22, 2017.